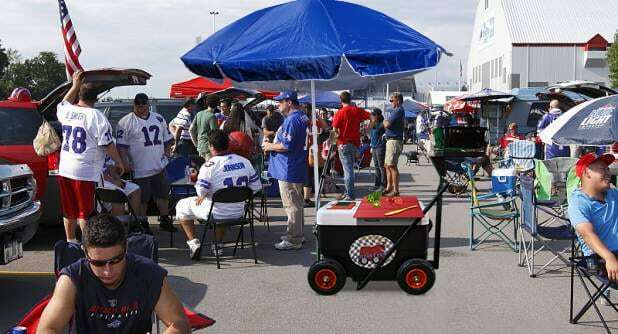 The cooler that parties like you party. 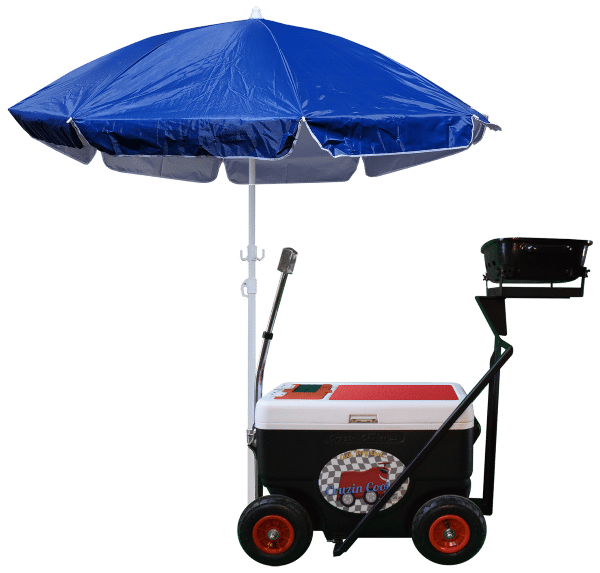 CoolagonPA® lets you tailgate, go to the beach or spend the day at the park in style by combining 44-quarts of cooling with a grill easily detachable, open a beer while cooking up burgers, charge phone with solar panel USB port while you eat on the foldable table in the shade of the attached umbrella. 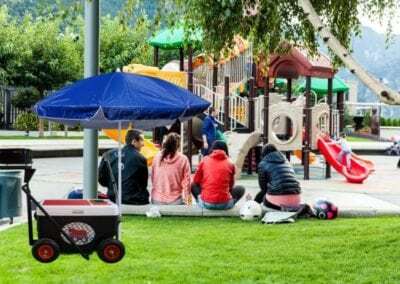 Don’t leave the party behind. Take it with you! 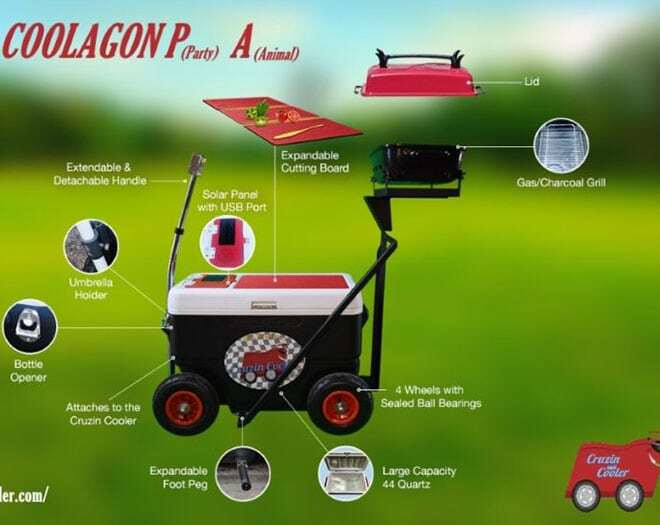 From, the creators of the Cruzin Cooler® the company that is known for fun with a cooler, The new 4 wheel Coolagon® PA, the most awesome cooler yet. The all new Coolagon® PA (Party Animal) is a game changer. 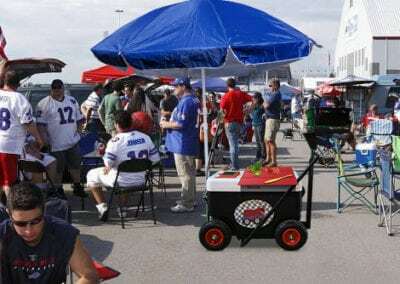 Forget your boring, old cooler that’s difficult to move and only cools your food and drinks. 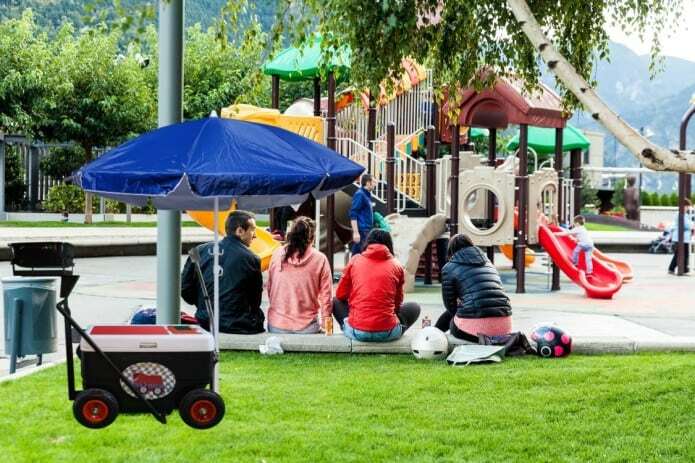 The Coolagon® PA lets you tailgate, go camping or spend the day at the park in style by combining 44-quarts of cooling with a grill , shade, table, and charging power. 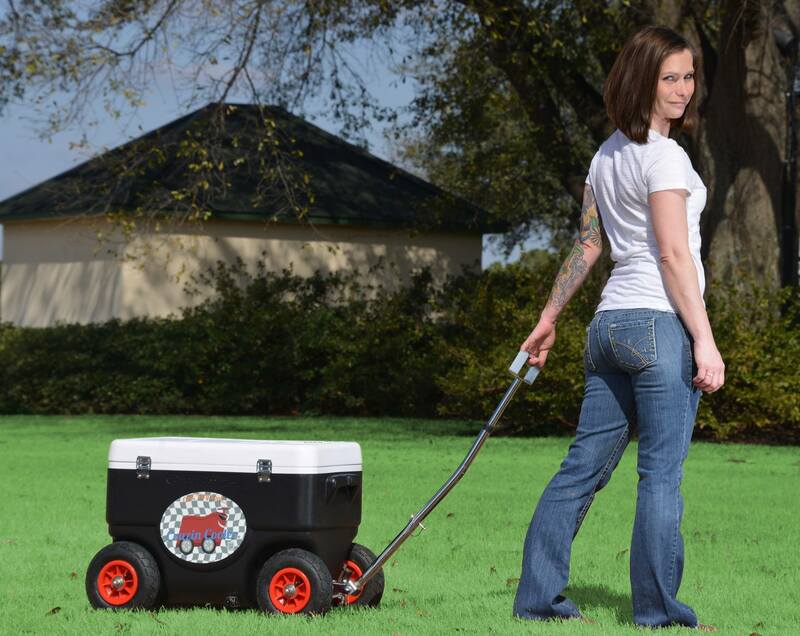 Want to crack open a beer while cooking up burgers? The bottle opener can help. Need to charge your phone? The solar panel has a USB port for easy charging. 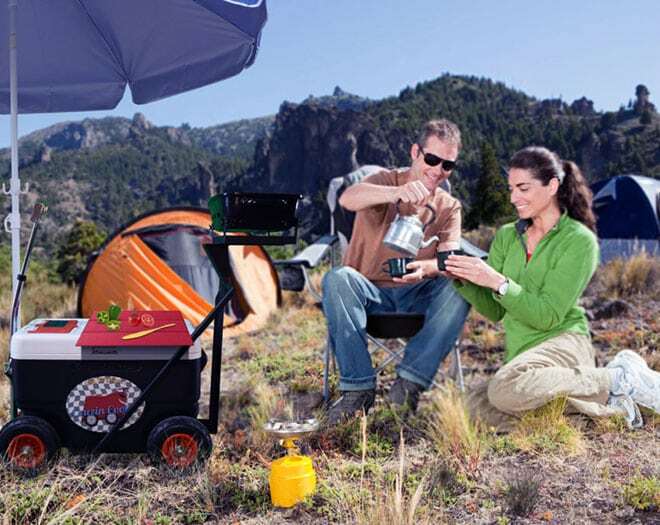 Maybe it’s a hot day with everyone outdoors having fun but you – the cook. 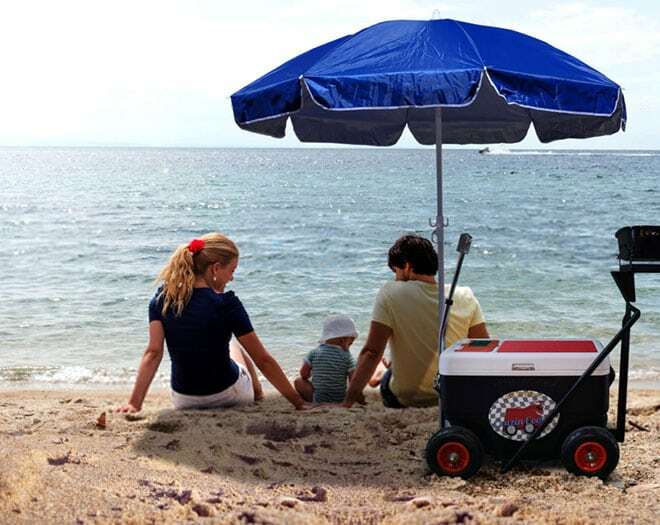 Attach an umbrella to the Coolagon PA® umbrella holder and cool off while grilling up ribs.